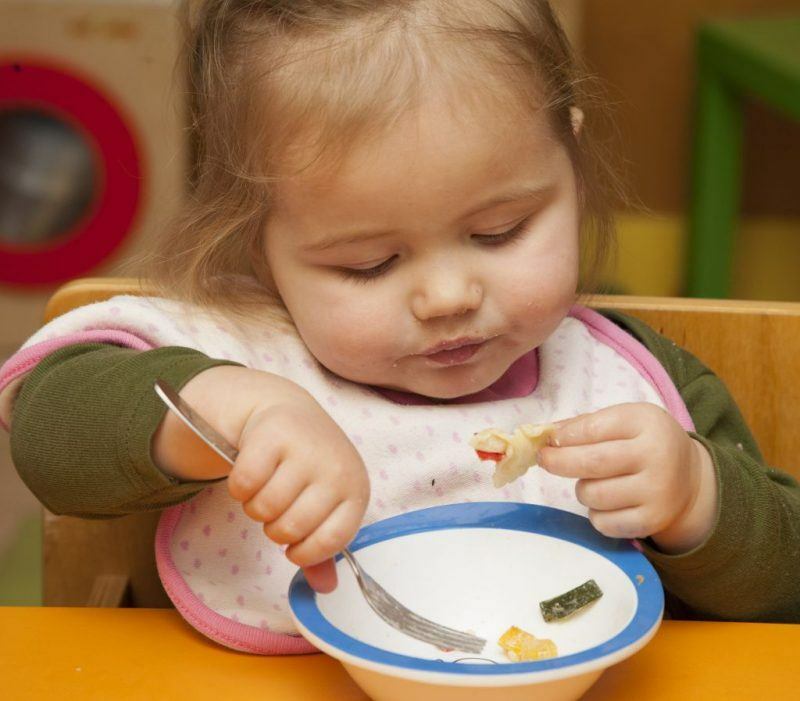 From 2nd January 2017, KinderRijk will be serving a hot, organic vegetarian lunch at all the day-care centres on three alternating days per week. A survey held among parents in April this year showed a great need for hot lunches. Healthy food has a positive impact on the development of children and therefore fits in well with KinderRijk’s vision. Our mission is to get children to take a real interest in healthy food. Having meals is also a significant moment of togetherness and sharing. That’s why we always eat and drink together at the table for a pleasant time together. The greatest benefit of having a hot meal together is that children will sooner tend to try a bite when they see others eat the food. Watching someone eat makes you want to eat! In this way, children receive their portion of vitamins and vegetables. The organic meal is provided by Lekker en Vers and is freshly prepared with seasonal organic ingredients on a daily basis. The vegetables are steamed so they maintain their vitamins and minerals. The preparation method is adjusted to children’s tastes and needs. A healthy start to the new year!